Bluehost Web Hosting Review - What Features Should You Look For? If it weren’t for hosting, nobody would be able to visit your website or read your amazing content. Hosting is what enables your site to be live online. This is how it works: web hosting services provide space on their servers, allowing website owners to securely stores their images, videos, graphics, and content. Website users pay a monthly fee to rent space on these providers’ services. Now to my Bluehost web hosting review. Does the hosting service provide daily backups? Are SSL (Secure Socket Layers) certificates offered? What about storage and bandwidth options? Will you be able to transfer domains and websites? Is the control panel easy to navigate? Is tech support available 24/7? Here’s what you get with Bluehost. Compare these features with the criteria above. Bluehost has been around for awhile now, and is hosting over two million sites worldwide. Several hosting options are available for website owners. If you’re a WordPress user, you’re in luck, because Bluehost offers a blog-hosting option, specifically for sites built on the WordPress platform. I find this option particularly great for affiliate marketers, and those wanting to create a website for making money online. Watch the video below to learn how to launch a WordPress site using Bluehost. Bluehost offers a lot of different hosting options, allowing you to choose a plan based on your budget and needs. Choose between Shared, VPS, Cloud, and Dedicated hosting, each increasing in price, with Shared hosting being the most affordable. On top of these standard options, you can take advantage of specialized hosting for sites running Woo Commerce or WordPress. Each of these hosting platforms are built on reliable, high-performance servers, which are supported by a 24/7 tech support team. SSL stands for Secure Sockets Layer, a standard security technology that establishes an encrypted link between a website and a web browser. Security is of the upmost importance when it comes to web hosting, and these free certificates protect those visiting your website. Beyond having a secure site, another awesome benefit of SSL is the ability to rank higher in the search engines. If you run an eCommerce site, this is particularly important, due to the fact you’ll be processing payment information. However, SSL is also critical for blogging sites as well. Your website, along with the best hosting provider in the world, won’t function without a domain name. Bluehost has a domain-search function, letting you find the perfect domain name for your site. Each domain includes auto-renewal and domain lock, along with a way to manage all your domains via an easy-to-use control panel. From this panel, you can change DNS records, and manage all aspects of your domains. Auto-renewal protects your domains, eliminating the worry of them expiring or getting lost. You can manually renew them if you prefer. Domain-lock prevents domain transfer from unauthorized users, but you can unlock it at any time if necessary. SSD stands for Solid State Drive. Think of SSD kind of like a memory stick where information is stored on microchips. SSD stores data on solid-state flash memory. This is why you’ll often hear SSDs referred to as flash drives. Solid State Drive storage is particularly important for eCommerce stores or large blogs that require a lot of database input and output, and is good for sites that are becoming increasingly popular, with more and more traffic. Bluehost’s VPS (virtual private servers) are built using SSD storage, allowing your to enjoy increased flexibility, control, and power for each website you host. Bluehost offers a variety of hosting plans, each with their unique features. Below, you’ll see the pricing plans for Shared and VPS hosting, and the benefits and price points of using WP Pro, and add-on feature of a regular hosting plan. Dedicated hosting is the most expensive plan, including extreme site speed that uses the latest technology. It also offers more storage and data-protection capabilities. Prices for Dedicated hosting range from $79.99 to $119.00 a month. Each plan includes free SSL certificates, one domain, 24/7 tech support, and a 30-day, money-back guarantee. The plans differ in the number of cores (WordPress Platform files) offered, the amount of storage, RAM, bandwidth, and IP addresses. Bluehost is offering a great deal where you can get one free domain name registration and SSL certificate. It’s normally $7.99 a month, but you can grab this deal here for just $3.95 a month or click the green “Get Started” button below. If you’re using WordPress, the shared hosting plan is definitely the most affordable, and comes with some pretty amazing features for such a low cost. Choose from hundreds of WordPress themes, and get a free domain name for a year. You can now take advantage of WP Pro, enabling you to supercharge your WordPress hosting, with site analytics, backups, security, and marketing tools, all in one convenient location. The plans offer email marketing, search engine optimization, and tools for social media. The hosting at Bluehost is optimized for super site speeds, and you’ll be able to manage every thing from your dashboard. Every plan includes unlimited websites, domains, and subdomains, along with unlimited traffic and web storage. The Build plan includes all the basics for creating a professional-looking WordPress site. The Grow plan comes with built-in features you’ll need to grow an audience for your website. The Scale plan includes advanced features for operating an eCommerce site. If you choose a WP Pro plan, in addition to your regular hosting, you’ll enjoy faster loading times, and be able to promote your website more efficiently with the marketing tools that are offered. You can also completely change the look and feel of your site by experimenting with the hundreds of professional, built-in themes that are available. In case you’re not familiar with Jetpack, it’s a toolkit kit for WordPress users that offers tools to help design and grow your site, all within one bundle. Jetpack is a fun way to personalize your site by using free themes and other tools. Bluehost also offers professional email addresses for your domains, allowing you to customize individual emails for each specific domain you own. This service does require a hosting plan, however. Professional email plans bring awareness and credibility to your business and brand. Prices begin at $2.99 – $9.99 a month. All addresses are powered by Microsoft Office 365, and come with automatic updates, an intuitive management dashboard, and security and disaster recovery. Bluehost offers free 24/7 customer support for each of their hosting plans. You can also access their free chat feature on their website, where you can get your questions answered, even after normal hours. WP Live is for users looking for WordPress design and functionality support. This is not a free service, and will run you $29.00 a month to have access to Bluehost’s technical team. You’ll receive support on theme selection, website design, and plugin support. A 30-day, money-back guarantee is offered for all plans, and you can cancel within 30 days for a full refund. Domain names, however, are nonrefundable. Some people have complained about Bluehost’s upselling, due to the many upgrades and add-on packages that are available, on top of regular hosting services. These additional features may be a bonus for those who need them, however, they may be prohibitive for those on a tight budget. I think Bluehost offers something for everyone, with the various hosting packages, they offer. Upgrades do include some pretty incredible features, such as malware detection and removal, and SEO and PPC marketing tools. They also provide hands-on services for those who need help designing their websites, along with social media optimizations, and local listing promotion. Another potential con, is that in order to transfer an existing website to Bluehost, you have to download your website files, and upload them to Bluehost’s server before you can change the DNS name. This really isn’t a problem, I know I just get nervous whenever I have to download and reupload files. The support team at Bluehost will walk you through the entire process, via live chat, so it’s much simpler than it initially sounded. My overall rating for Bluehost is EXCELLENT. A good hosting provider is essential if you want to get your site online. Look for one that provides daily backups, SSL certificates, storage and bandwidth options, the ability to transfer domains, a user-friendly control panel, great customer service, and of course affordability. 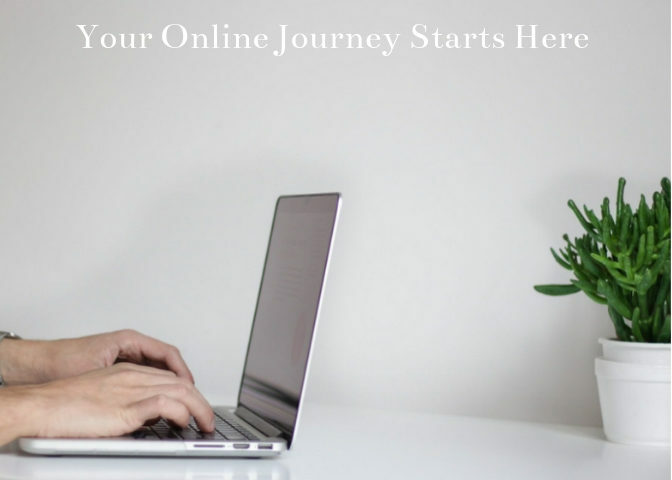 Read my review of how I got started online here. BlueHost is a great hosting service, offering a variety of features to get your site up and running online.